Located on Upper Manhattan in New York City, it was home of the baseball NY Giants (1891-1957), NY Yankees (1913-1922), NY Mets (1962-1963) and football NY Giants (1925-1955), NY Titans/Jets (1960-1963) & NY Bulldogs (1949). Opened in 1890 and renovated several times, it had a final seating capacity of 56,000. 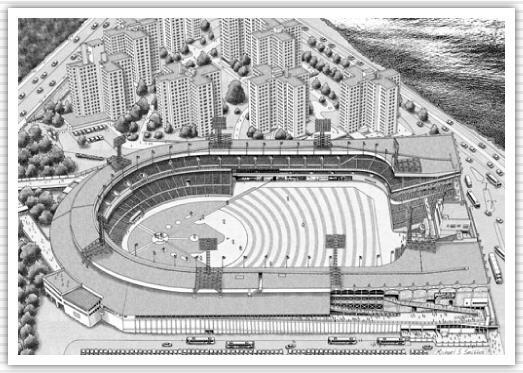 The stadium closed in 1963 and was demolished the following year.